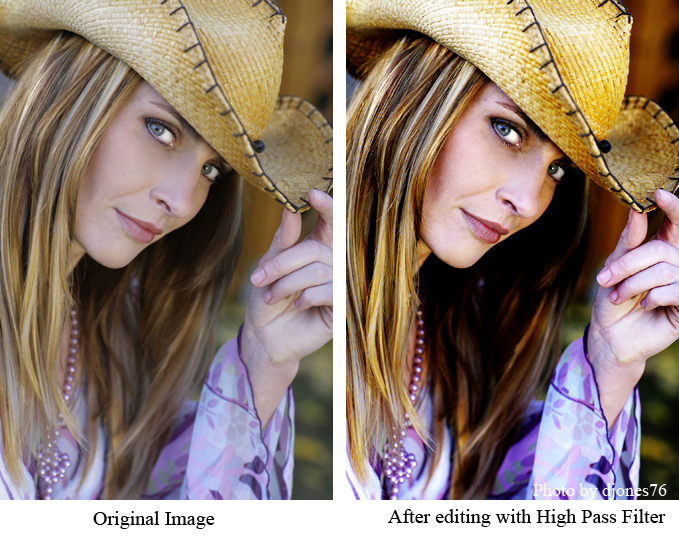 The High Pass filter is often used to sharpen or even soften image details but did you know that you can also use it to create a high contrast image? If you want your image to have a high contrast effect, there are many ways to achieve this in Photoshop and this filter is one of many effective ways to do it. In this tutorial, we will show how using the High Pass filter can enhance your image and give it more impact. It must be said that each image is different and the High Pass filter might show great results with some but not with others. Also, there are many other adjustment settings that you can use in connection with the filter to get various results. 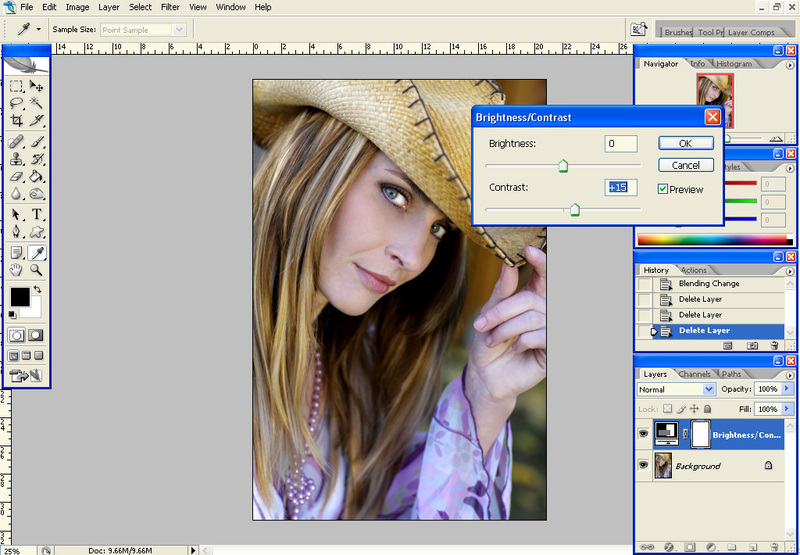 For this tutorial, we will be using Photoshop CS2 as the photo editing program although you can use another if it has the High Pass filter option. Open your image and create a duplicate layer so you can leave your original image untouched. Click on Image > Adjustments > Hue/Saturation and a dialog box will appear. Another way is to make it show is to click on the half black, half white circle under the Layers palette and choosing Hue/Saturation. Drag the saturation slider to around +15 then press OK. Create a new adjustment layer, this time using brightness/contrast, drag the contrast slider to +15 and press OK.
Press Shift+Ctrl+Alt+e if you are using a PC (if on a Mac it is Shift+Alt+Cmd+E) in order to merge all these document layers into one new layer on top of all the others. While targeting the new layer, go to Blending mode and choose Soft Light. You can use other blending modes such as Hard Light or Overlay if you want a stronger effect. If it is too strong to the point of being unappealing, you can reduce the opacity to tone it down. For this tutorial, we will be using Soft Light to show a more subtle effect. 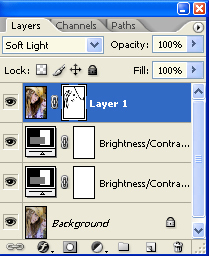 Click on the Add Layer Mask icon found at the bottom of the Layers palette to add a layer mask to the top layer. Select the Brush tool and set the Hardness to 0%, the Opacity to around 50%, and the Mode to Normal. Make sure the foreground color is black and set the diameter to a manageable size. Now paint over the areas where you want to retain defined detail. Your brushstrokes will reveal the layer beneath it that is still in clear focus. In the meantime, the layer mask will show black lines which represent the strokes you are making. Again, merge all the document layers into one new layer and set the Blending Mode to Soft Light. Next, go to Filter > Other > High Pass and set the radius value to around 3 pixels, depending on the image size and content. You can check the image preview and work at a suitable value based on the results shown. 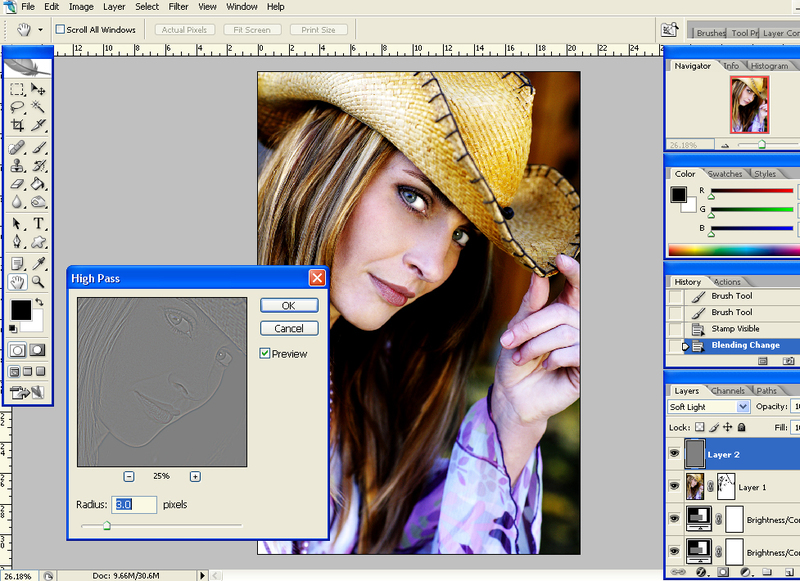 This entry was posted on Tuesday, May 10th, 2011 at 10:26 am	and is filed under Advanced Tutorials, Articles, Photography Tutorials, Photoshop Tutorials. You can follow any responses to this entry through the RSS 2.0 feed. You can leave a response, or trackback from your own site.